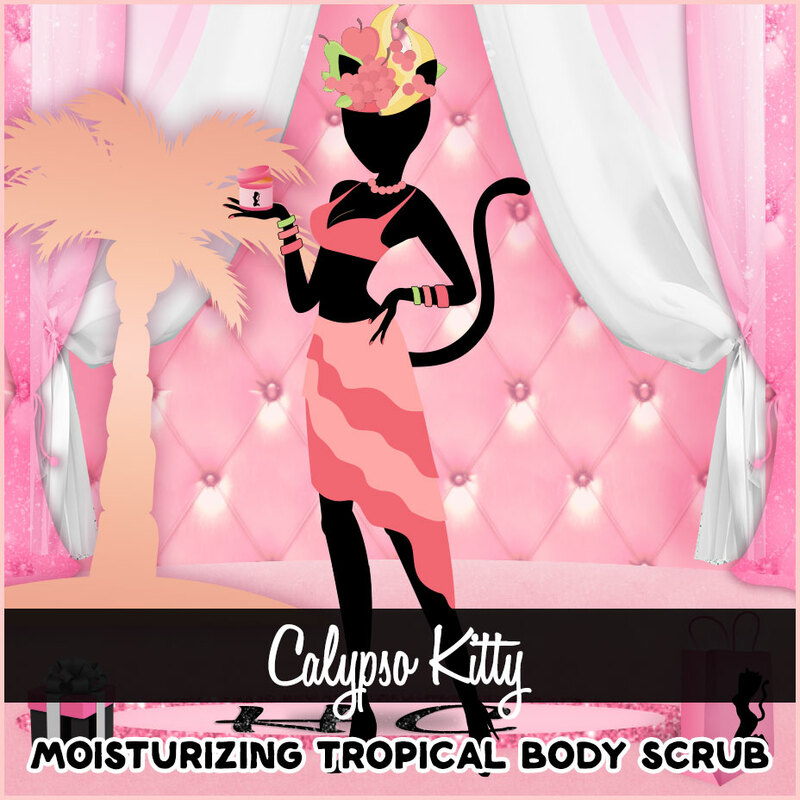 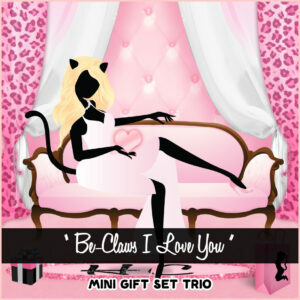 View cart “Calypso Kitty Body Scrub” has been added to your cart. 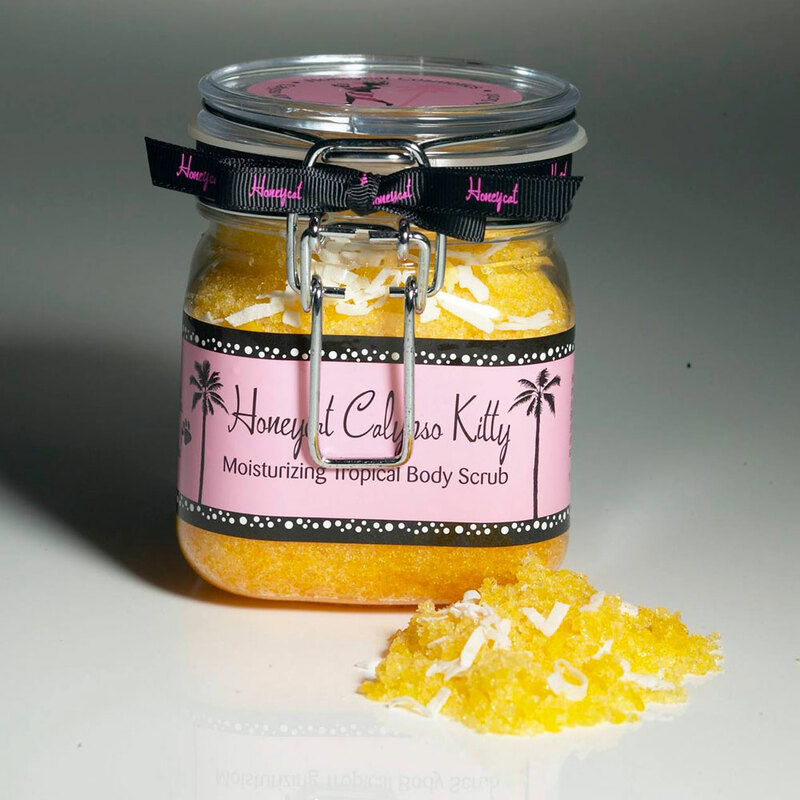 Pineapple, mango and papaya brings the scent of the tropics to your bath and shower. 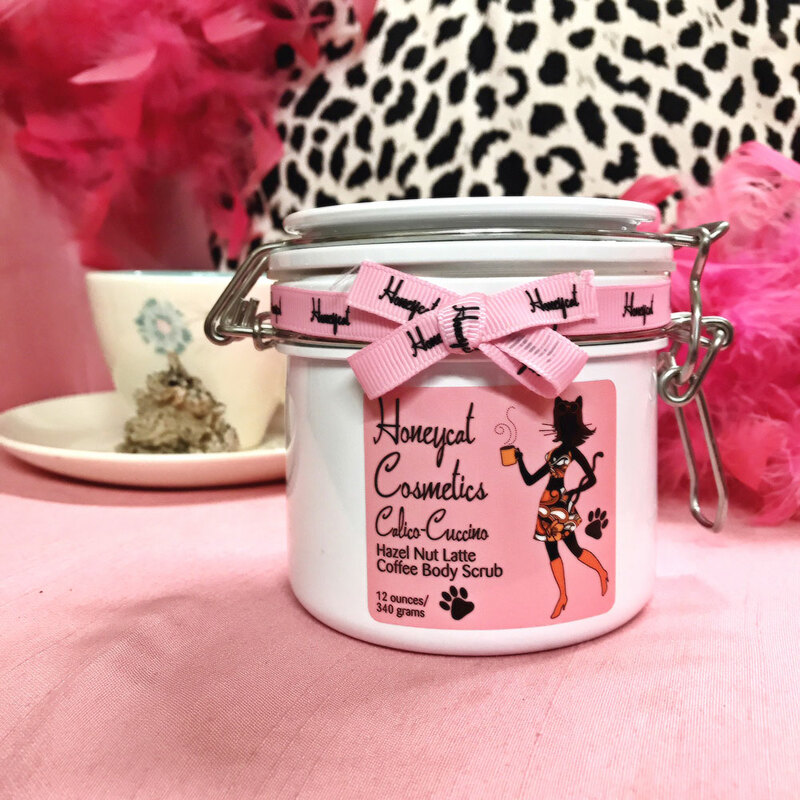 Infused with rice bran oil (moisturizing natural antioxidant), carrot oil (rich in vitamins A & E and helps heal dry skin) and real shredded coconut for added gentle exfoliation. 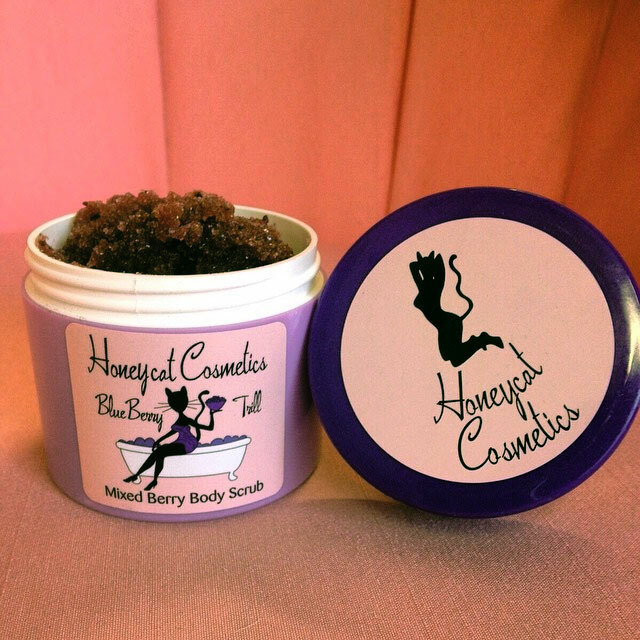 Your skin will be positively purring! 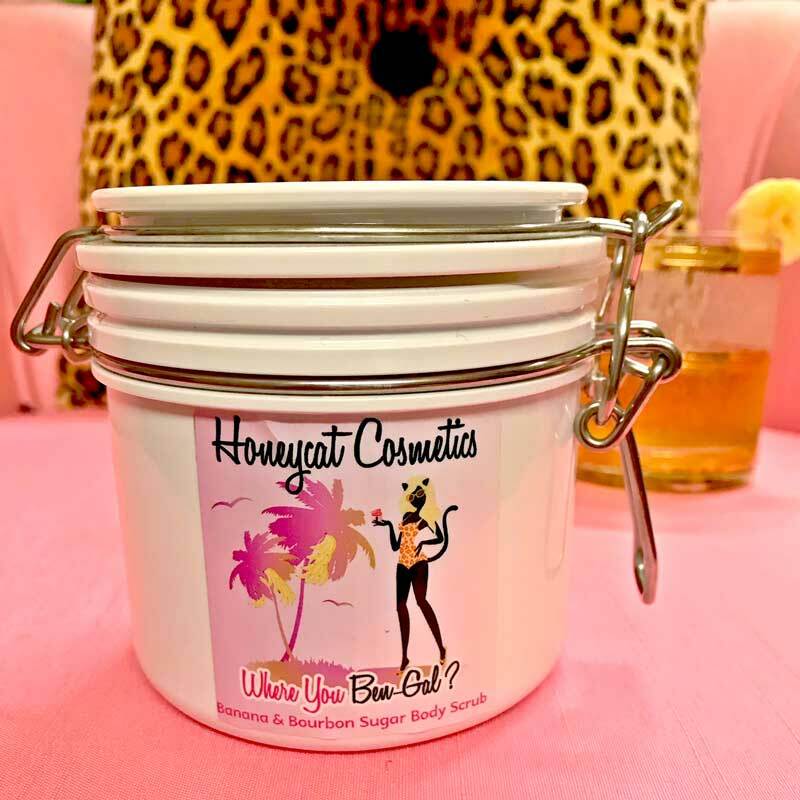 Girls, here’s something that’s sure to tingle your tired tootsies. 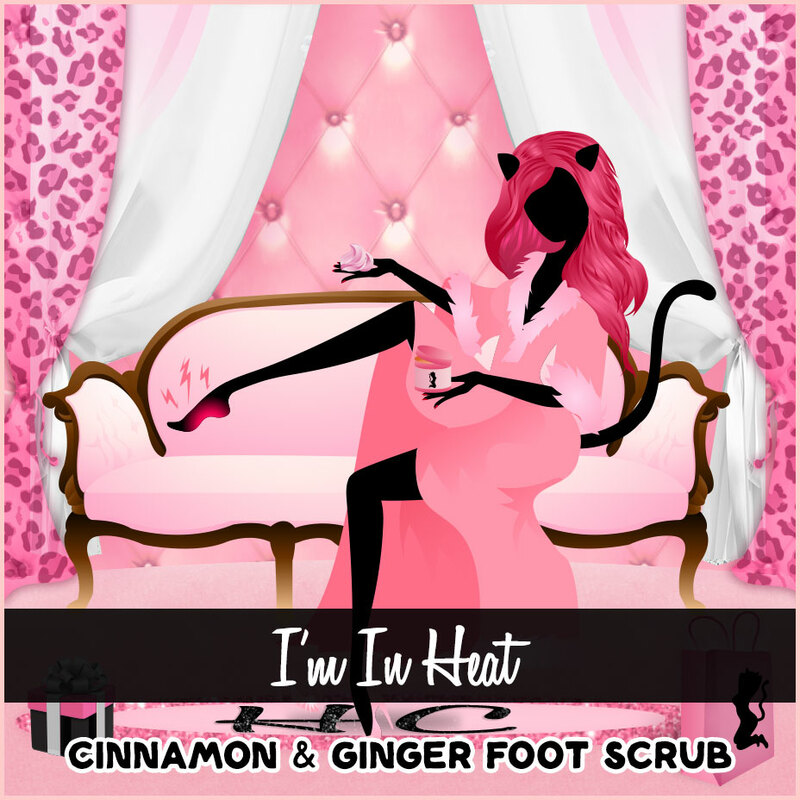 “I’M IN HEAT”, cinnamon, ginger, and brown sugar foot scrub mmm…Your paws, I mean, feet will feel like cotton balls after using this yummy treat, for weary feet. 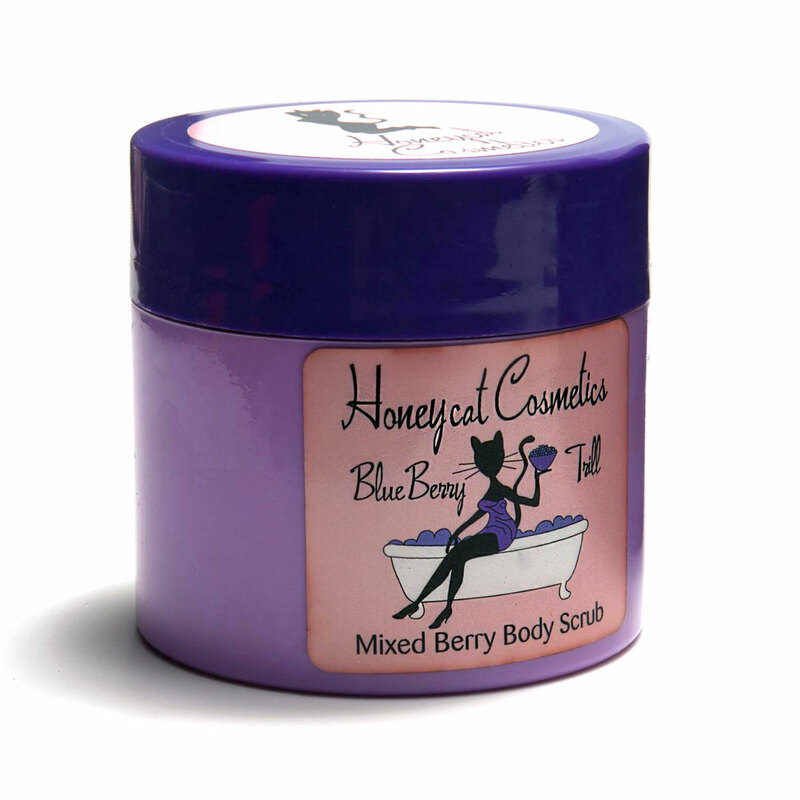 Packed with shea butter, sweet almond oil, and cocoa butter. 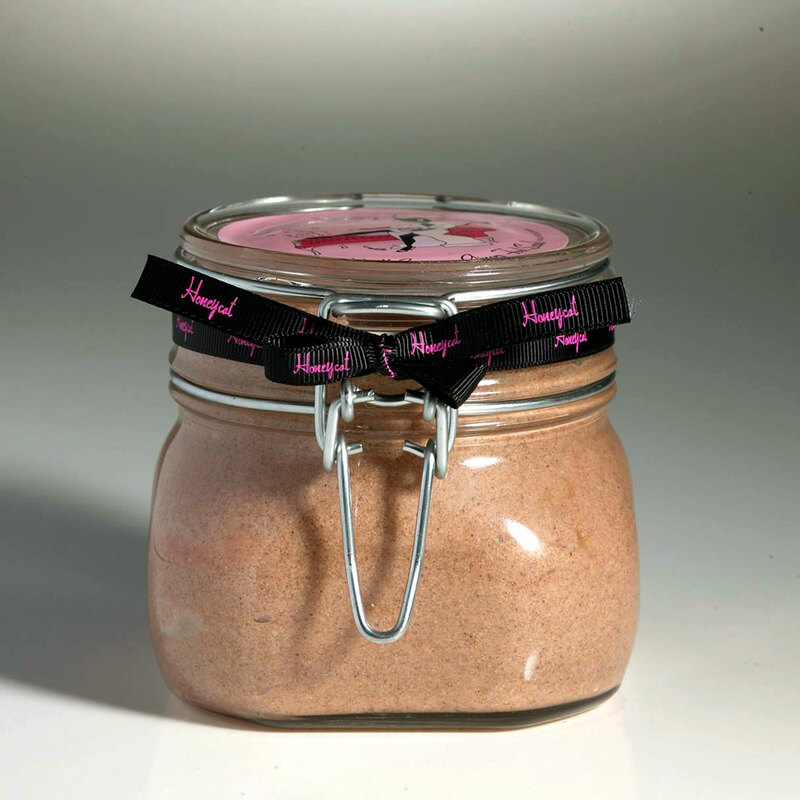 Come and get it! 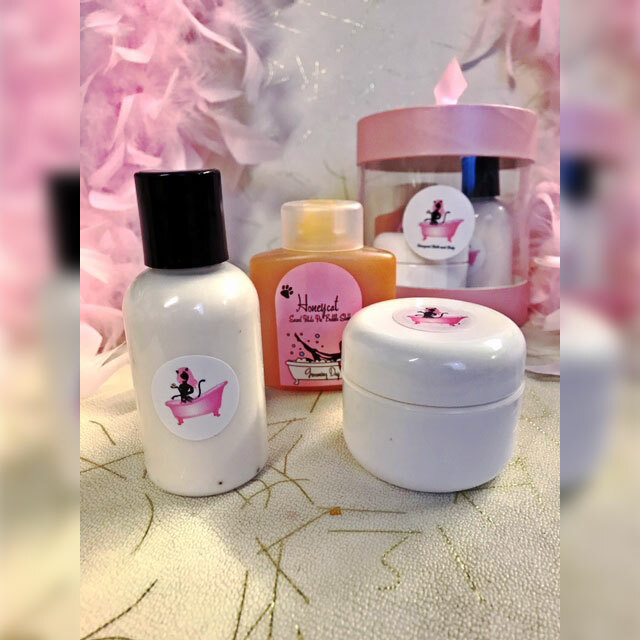 4oz Sweet Cream bourbon and sweet cream body cream. 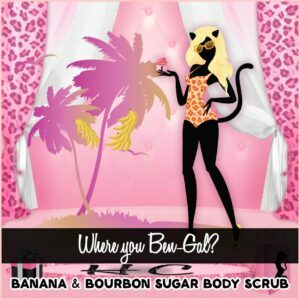 4oz Grooming Day sweet potato pie scented shower gel/bubble bath. 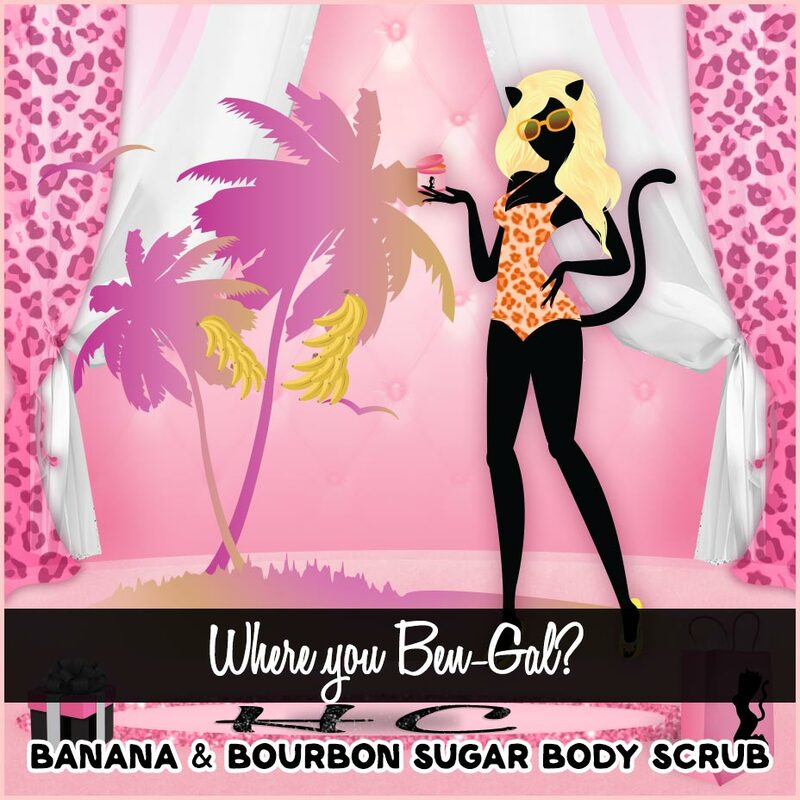 2oz Purrrfect Pumpkin spiced bourbon pumpkin body scrub.